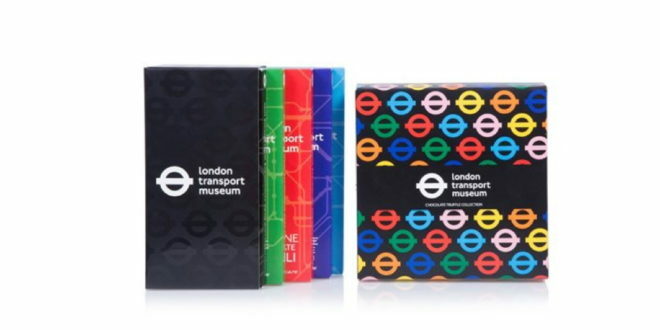 British chocolate manufacturer Montezuma’s has partnered with the London Transport Museum for a range of chocolate bars inspired by five iconic London tube lines. The Central Line has been re-created with dark chocolate and a hint of chilli, while the District Line has been designed with milk chocolate and peppermint. The Northern Line tastes of dark chocolate and cocoa nibs, the Piccadilly Line boasts milk chocolate and butterscotch bits and lastly, the Victoria Line combines dark chocolate, lime and sea salt. "We love creating innovative and quirky chocolate ranges, and the opportunity to work with the London Transport Museum to celebrate some of London’s first tube lines was great fun,” said Helen Pattinson, co-founder of Montezuma’s. “These bars and truffles offer a gift with a twist and would probably make a great present for commuters, as well as those visiting the Museum." A collection of the five bars are also available as part of the Chocolate Library Set, and a Truffle Box, which echoes each of the flavours of the five bars.